5 KastKing Kodiak Saltwater Fishing Reel - 39.5 LB Carbon Fiber Drag, All Aluminum, 10 + 1 BB Fishing Reel. An ultralight spinning reel can be a great choice for the casual fisherman who is not worried about monstrous catfish or simply wants to bring in the small stuff during a weekend trip. 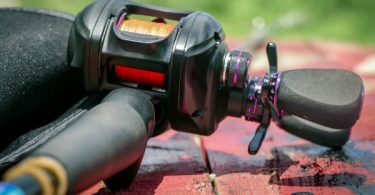 Any reel under the weight of eight ounces is considered ultralight, and anglers love them because they can fish all day without worrying about the strain that comes with using heavy equipment. They are ideal for small fish, and some high-end models incorporate corrosion resistance for light saltwater fishing. If you have set your mind to getting an ultralight spinning reel, you are in the right place. 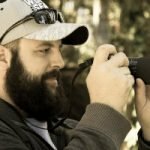 This post takes a closer look at the best models and their key features. 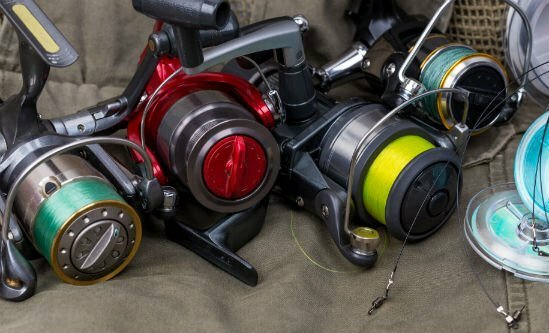 Before taking that plunge, here is a quick overview of the best ultralight spinning reels on the market. KastKing Kodiak Saltwater Fishing Reel - 39.5 LB Carbon Fiber Drag, All Aluminum, 10 + 1 BB Fishing Reel. The Okuma Helios HX-35 Spinning Reel offers a combination of superior design and construction coupled with durability and innovations. At only 11 ounces, you can pack it and take it anywhere you where. It uses the new C-40X carbon fiber construction technology to keep the weight down without compromising quality. The technology also utilizes a blended graphite polymer, making this reel 50% stronger and 25% lighter than standard reels. The aluminum frames can withstand high pressure and torque. It uses a computer balanced rotor to providing a wobble-free experience. The carbonite drag system goes a long way towards ensuring a smooth drag performance and high heat resistance. Also included is the Helios Precision Elliptical Gear System, which was nominated for the 12th Annual Innovation Award in 2005. The oscillation gears are shaped like an ellipsis and are reinforced to prevent corrosion. The 9+1 stainless steel bearings are corrosion resistant, displace high temperature and help with the smooth operation. Okuma uses the Hydro Block System to provide extra protection from water corrosion. It works by blocking water with a rubber gasket at the top. The Okuma Avenger offers decent performance at an affordable price and is a great investment for novice anglers. It comes with 6 ball bearings and an anti-reverse bearing to make sure that the drag is properly engaged. Okuma incorporates oil-soaked felt washers in the drag system washers to improve smoothness as the line is pulled off the spool. The front drag uses Hydro Block seal to keep the water out, thus preventing corrosion and increasing drag longevity. The rear drag is easily adjustable via a small knob at the back of the reel. The sealed gearbox does a good job of keeping water and dirt out. The gears work well with the bearings and are machined from brass. Unfortunately, the gear ratio is quite low as compared to other reels in its price range. This shouldn’t be much of a problem given the niche this reel is designed to fill. This reel is equipped with a computer balanced rotor equalizing system that provides a wobble-free experience. It has a graphite body and rotor, hence longer lasting as compared to models made from aluminum. Use of graphite also makes this reel lightweight without compromising on strength. You can easily switch between left and right-hand retrieves by unscrewing the handle and switching sides. The Okuma Ceymar Lightweight Spinning Reel is designed for the enthusiastic freshwater angler. It features graphite composition frame and rotor that provides added strength at a reduced weight. This combined with an extensively skeletonized makes the Ceymar an excellent choice for any freshwater species. The multi-disk oiled felt drag system is quite smooth and holds up well to big surges of oversized catfish. You get a drag dial with a nice audible click to make adjustments on the fly. This reel also comes with an EVA crank handle for comfortable handling and an aluminum spool that stays in top condition for a long time. It uses Okuma’s RESII computer balancing to ensure optimal balance even when the rotor spins at high speeds. The Okuma Helios HSX-20 leverages new technologies and materials to ensure optimal durability and performance. Okuma uses a new long strand carbon strand carbon fiber technology dubbed C-40X to produce an extremely lightweight and strong reel. An additional benefit of carbon fiber is that is highly resistant to corrosion. The cyclonic flow rotor boasts a sleek, ported design that allows for increased airflow. As such, it dries faster and minimizes the risk of corrosion. The Helios HSX-20 also features Torsion Control Armor, which reduces the twisting effect often associated with spinning reels. It utilizes two arms like a bicycle fork to create a much stronger arm without the extra weight. It also keeps the internal components lined up for a smooth retrieve. The carbon fiber drag has a multi-ratcheted drag knob that ensures smooth and strong drag for the weight of this unit. The bearing system includes 8+1 stainless steel bearings, as well as a quick-set anti-reverse roller bearing, which ensures that you won’t have any slop on the reel when you set the hook. The machined aluminum handle offers comfortable handling without adding weight to the unit while a computer balanced rotor equalizing system works with Torsion Control Armor to provide an extremely smooth retrieve. The Helios HSX-20 uses a Centrifugal Bail design, which combines aluminum bail wire with a newer design that utilizes heavy brass disc. What you get is a balanced and smooth bail operation. The KastKing Mela II is one of the smoothest spinning reels on the market. It features alloy drive gear that makes for an effortless casting experience. The stainless steel main shaft furthers the reel’s smooth operation capabilities, and the brass pinion gear backed with two bearings makes for better in-line cranking. This reel has a total of 10+1 double-shielded MaxiDur ball bearings for smooth performance. The honeycomb spool is probably a unique feature of Mela II. It is designed to minimize the overall weight of the unit, thus reducing fatigue when angling for extended periods of time. Honeycomb is also a very strong design, mostly because it is self-supporting. KastKing uses corrosion-resistant aluminum, brass, graphite, carbon and stainless steel to make this reel strong and corrosion-proof. The spool itself is forged from aerospace aluminum for the ultimate strength while the main shaft is made of stainless steel. Also included are carbon triple disc drag washers. The KastKing Summer and Central Spinning Reels pack a bunch of awesome features that guarantee a fun experience. The series consists of eight models, with our favorite for ultralight reel being the Centron 2000. It has an incredible stopping power of 17.5 pounds and offers an incredibly smooth performance with a 9+1 bearing system. The resilient build of the mesh gear and main shaft makes for a strong unit that can withstand the stress of fighting fish. While designed as an ultralight spinning reel, the Centron 2000 can also be used for saltwater applications. It has a narrow graphite frame design that stands up well to the elements not to mention a computer balancing system that provides extreme stability. It has a high strength anodized aluminum spool that holds more line that other models and features a power launch lip for further casting. An upgraded T-knob that drives straight through the main gear gives you added control. The Piscifun Venom is a powerful and strong spinning reel engineered for tough fights. It comes with a reinforced stainless steel drive gear, which works with three premium carbon fiber drag washers to provide up to 17.6 pounds of drag power. The spool rotates 5.1 times per single turn of the handle, so expect fast retrieves. The braided spool design allows anglers to tie braid directly to the spool without worrying about a slip. The spool has a braid capacity of 25lbs/140 yards and a retrieve rate of 22.4 inches per turn. Another notable feature is the high-quality rubber ring sealed drag knob that prevents corrosion by tiny debris and water. The reel uses 10+1 anti-corrosion stainless steel ball bearings for smooth operation. It has a strong precision brass pinion gear supported by triple bearing to increase smoothness and dependability. Available in four sizes, the Piscifun Honor Spinning Reel is designed for freshwater and saltwater applications. It offers everything one would expect from a renowned tackle manufacturer. Highlights include a 10+1 bearing system for maintaining a smooth and consistent operation while improving corrosion resistance. The gears are made from premium machined aluminum and provide an exceptional gear feel and performance. It also comes with a precise stainless steel main shaft and components that have impressive corrosion resistance. The unit uses a carbon fiber drag system with a maximum pull power of 22.1 pounds as well as a bail system to deliver optimal durability. The carbon fiber rotor does a good job of reducing overall weight without sacrificing durability or strength. A compact CNC machined aluminum handle provides the ultimate comfort when casting or retrieving with an ergonomic design and large EVA knobs. The Cadence CS5 boasts a lightweight carbon composite frame and side plates that offer extreme durability while minimizing the weight. It has eight ball bearings and an instant anti-reverse bearing for smooth operation. The machined aluminum spool is strong and lightweight, while the ergonomic EVA handle provides more comfort when working for extended periods of time. All things considered, the Cadence CS5 offers decent value at an affordable price. It is a great reel for your collection and is ideal for gamefish including freshwater fish like trout and walleye, as well as inshore species like flounder, redfish, and speckled trout. What’s even better is that Cadence Fish sends their charitable partners a free kid’s rod and reel combo for every $50+ purchase. The Sougaliyang XY2000 Fishing Reel offers incredibly smooth performance with 13 ball bearings and an instant anti-reverse bearing. It is built for maximum strength and durability with precision brass gears and hardened metal main shaft. The CNC aluminum machined handle can be interchanged left or right for comfortable handling. It uses triple disc carbon fiber drag washers for better corrosion resistance. The mesh drive gear combined with the precision machined pinion gear provides more strength to withstand the stress of fighting fish. Another major highlight of this reel is the hollow frame design, which keeps the overall weight to a minimum. The computer balancing system ensures a wobble-free experience. The spool rotates 5.5 times per single turn of the handle. It can accommodate 8 pounds or 180 yards line. The gears are made of zinc and a new special design line roller helps reduce line twist and fatigue when working for extended periods of time. The above ultra-light spinning reels are guaranteed to give you the best combination of function and weight. You will be able to fish all day long without worrying about fatigue or sub-par performance. 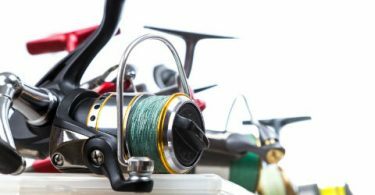 The most important thing to remember when it comes to ultralight spinning reels is that the number of ball bearings matters more. Unlike full-sized models that would get away with just 5 bearings, ultralight reels with less than 6 bearings may not last more than a season.